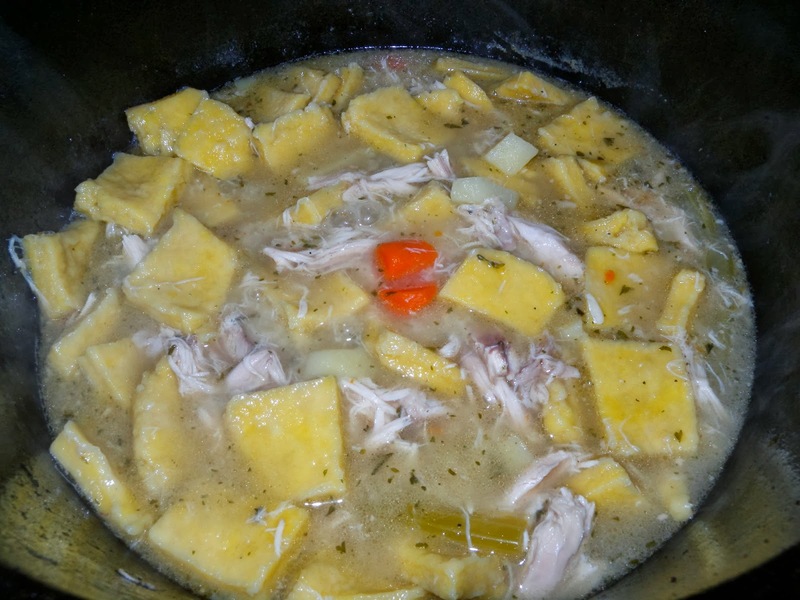 It's chicken & dumplin' weather here this week. And what warms you to your bones more than a hearty homemade soup that's been simmering on the stove most of the day. Mmmm mm. Even though I've improvised the soup, this is how my mom always made her dumplings. As a little girl, I can remember watching her do this. Watching her at work in the kitchen are some of my favorite childhood memories and this was one of my favorite meals that she made! And the majority of the time, the fryer she used was one that we raised and processed ourselves..which is a whole different story for another day. But if you need a good dumplin' recipe..here ya go! ~In a dutch oven, if you have one, simmer all together for a couple of hours or more until tender. 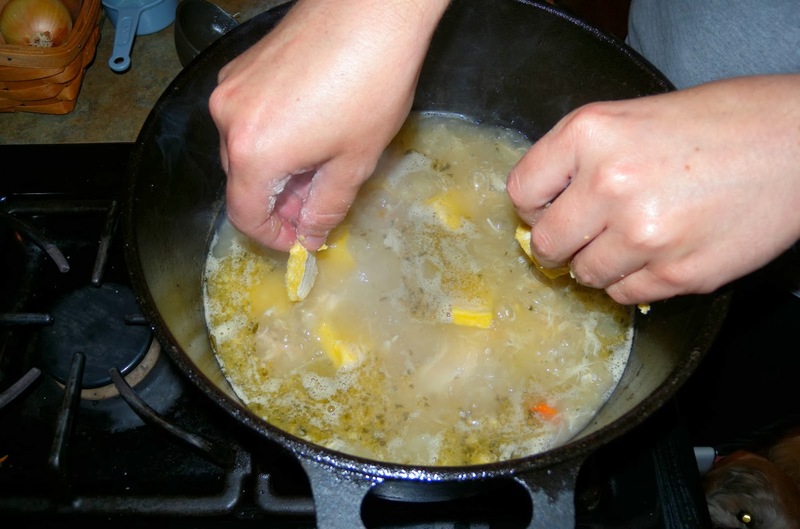 Remove chicken, debone and then return meat to your stock. ~Simmer until potatoes are tender. While potatoes are cooking, make the dumplings. 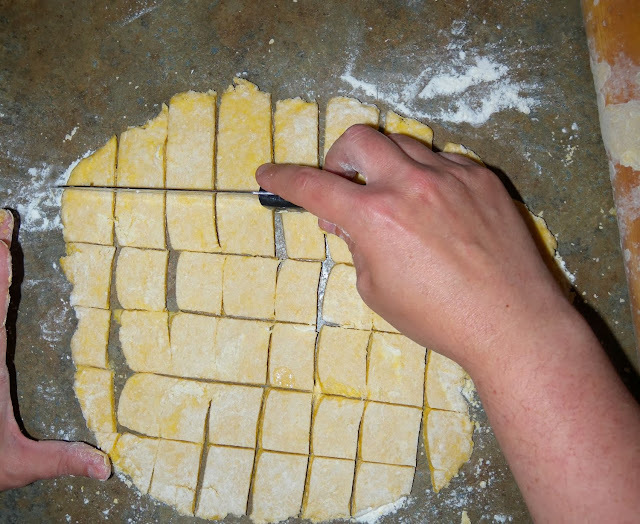 ~Roll out about 1/4" thick and cut into squares - drop into boiling soup and cover. Simmer for about 20 min. until done. I love chicken And now i want try dumplings and thanks for sharing this recipe . I think this dumplings are fabulous. You can also try our chicken base . This is also fabulous please try this and enjoy your food.